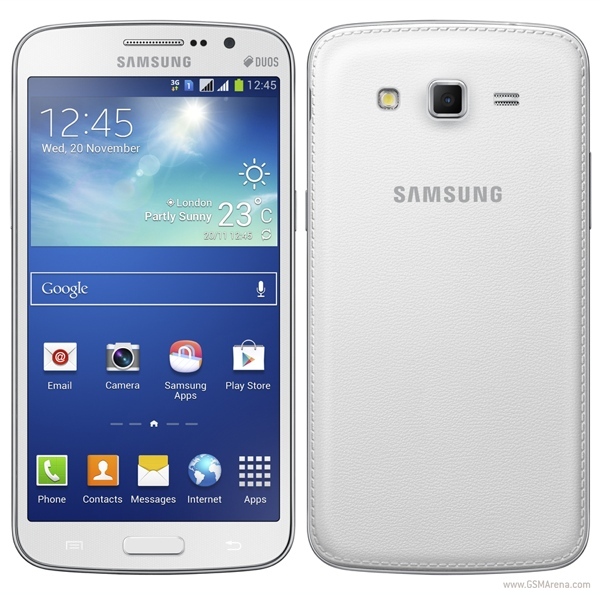 Samsung has announced the new Galaxy Grand 2 smartphone that features several improvements over its predecessor. To start off, it features a new design that is similar to the new Galaxy Note 3 with a stitching pattern around the faux leather back. On the front is a new 5.25-inch LCD with a resolution of 1280x720, an improvement over the WVGA display on the previous model. On the inside, the Galaxy Grand 2 runs on a 1.2GHz quad-core processor, 1.5GB of RAM and 8GB of internal storage space with a microSD card slot. The battery has been upgraded and now has a capacity of 2,600mAh. The larger display means the new model is slightly taller and wider than its predecessor. It still has a dual-SIM slot and the same 8 megapixel camera on the back. The Galaxy Grand 2 comes with Android 4.3 Jelly Bean. The phone will be available primarily in white, with black and pink offered in select regions.